Deval Patrick speaking during the 2016 Democratic National Convention. Photo by Joe Raedle/Getty Images. Private equity spent much of 2012 in an unwanted spotlight, thanks to Mitt Romney's presidential run, and there are (very) early indications that it could get blinded again in 2020. Bottom line: Former Mass. Gov. 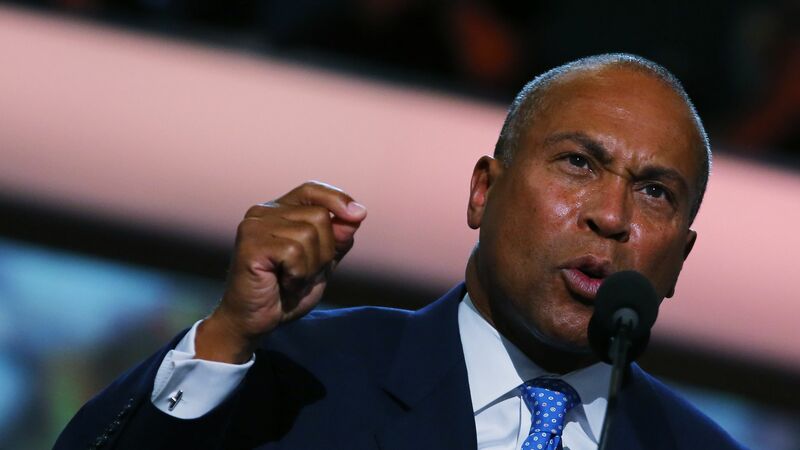 Deval Patrick is viewed as a possible Democratic Party contender, but his current job with Bain Capital could prove problematic. Patrick, who launched an impact investment fund for Bain Capital after leaving public office, did the Sunday show thing on CNN yesterday. It was ostensibly to talk midterms, but host Jake Tapper also raised his association to Bain. Both in terms of possible legislation stemming from the Toys "R" Us situation (with which neither Patrick nor his fund are involved) and to an ascendant left flank in the Democratic Party that might not take too kindly to Patrick's resume, were he to vie for the nomination. TAPPER: These workers are looking for new legislation that would force these firms like Bain to fund severance payments to employees who are laid off as a result of private equity investments. Do you think that's a good idea? TAPPER: Given the way that the Democratic Party went after Bain during that race and the way that Hillary Clinton faced so much criticism from the left for her speeches to Goldman Sachs in 2016, did you have any reservations at all about joining Bain? PATRICK: I describe myself as a capitalist. I'm not a market fundamentalist. I don't think markets solve every problem just the right way. But I do believe in opportunity. I think we need an economy that is expanding and is expanding out, so it reaches people on the margins, not just up.And I think there is a right way and a wrong way to do that. And I think impact investing is an incredibly interesting and exciting way to participate in growth capitalism. So, no, I don't buy all that.